Look what is getting closer. Posted on April 1, 2010, in 293. Bookmark the permalink. 2 Comments. 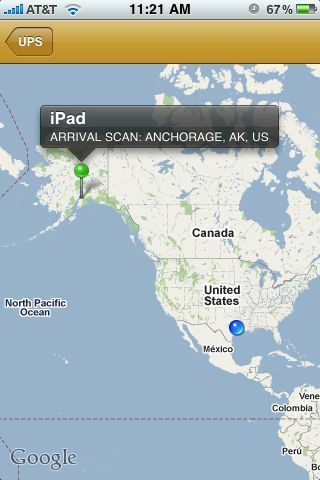 Am curious to know what is arriving since my niece lives in Anchorage. Or does this mean that you’re getting an iPad ( thought you didn’t like them?! )?